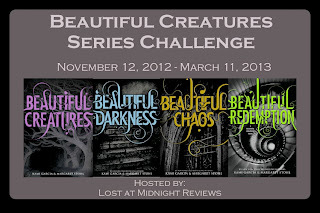 Lost at Midnight Reviews: Beautiful Creatures Series Challenge Extra Month! 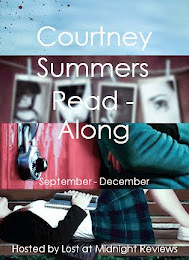 Sorry this is coming so late but I completely forgot to post the link! 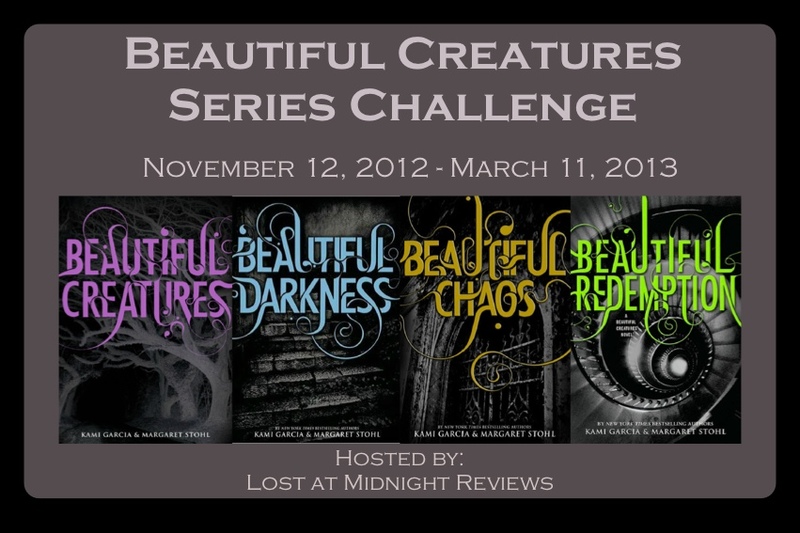 As I said, I'm extending the Beautiful Creatures Challenge an extra month so we can hopefully get caught up with the books So, link any of your reviews that you've written this month here! 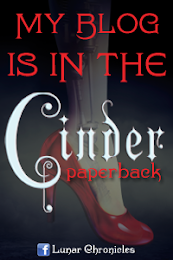 Also: MAKE SURE TO ENTER THE GIVEAWAY! Ahhhh! i only have redemption left to read!